At the Oracle of Delphi, you'll find two inscriptions carved above the entrance: "Know Thy Self" and "Nothing to Excess." You'll find these same inscriptions carved over Earlimart's third full-length, Everyone Down Here. Three albums deep, Earlimart sound comfortable, assured, and safe. 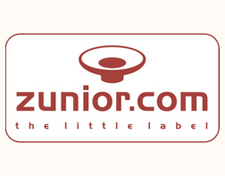 Hardly interested in pushing the envelope, they've produced an immediately accessible album. Nothing's challenging here, but everything's enjoyable. 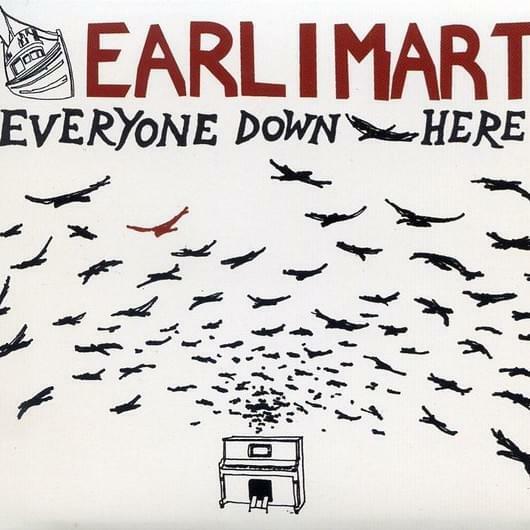 With the first two tracks, Earlimart set the pace for the entire album. An eerie dirge, "We're So Happy (We Left the Piano in the Truck)," opens the CD. The song emerges from the mist, gradually introducing languid guitar strums, the repeating vocal melody, spare percussion, chimes, and accompanying female vocals. The second track, "We Drink on the Job," picks up the pace significantly; a catchy pop-rocker with two hooks, the song clocks at a brief 2 minutes 15 seconds. The remaining songs fall into one of these camps: drowsy, atmospheric ballad vs. fast, catchy pop. 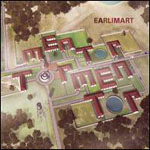 Tempo apparently defines Earlimart's songs, largely dictating the music's mood and character. Only on the forth track, "Lost at Sea," deviates significantly from this rule. Opening like your typical Earlimart ballad, the song hurtles shockingly into punk-esque vocal and guitar distortion. Though not significantly better than the surrounding songs, "Lost at Sea" stands out as creative, at the very least. Furthermore, Earlimart understand the wisdom of the phrase: "Nothing to Excess." Their songs last long enough to satisfy, but never long enough to bore. 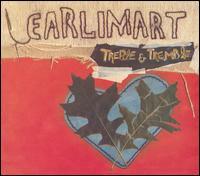 This strategy serves Earlimart quite well, because their songs often depend upon a few simple hooks. Rather than stretching these hooks into five minute opuses, the band stuffs them into bite-size packages. Every song makes its statement quickly and ends before you notice that it didn't say very much. Over all, the album lasts 32 minutes and 38 seconds, hardly wearing out its welcome. Your shrink says, "Be yourself!" Your guidance councilor says, "Figure out what you like to do. Go make that your career." Evidently, Earlimart took this advice to heart. They've reliquished their dreams of Presidency and they've settled comfortablely in suburbia. Throughout Everyone Down Here, Earlimart rarely stray from their formula: simple vocal melodies, strummed guitar chords, throbbing percussion. But hey, the formula sounds good. Drowsy indie-pop rockers who produce good drowsy indie-pop. Go figure.